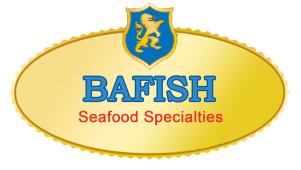 Bafish seafood blends are dependable natural products that improve the quality and stability of seafood. Our seafood blends are in easily applied powdered form and use low dosage rates to prevent flavor issues. They contribute to fresh-looking final products, excellent cooking yields, longer shelf life, reduced translucency, greater moisture retention, reduced purge, good color formation and improved freeze-thaw stability. Our additives offer specific solutions, such as preventing black spots on shellfish and providing specialty phosphates for different applications.